Lisa is thrilled to be a part of the Thurston family. Lisa bounces back and forth between theatre directing and acting projects, writing projects and teaching. Most recently, she was a guest director for Southwest Minnesota State University’s The 39 Steps. Stage acting credits include the LA premiere of Christopher Durang’s Durang/Durang at Hollywood Court Theatre and William Mastrosimone’s Bang, Bang You’re Dead at The Road Theatre Company. She’s the Resident Director and Playwright of the award-winning theatre company Acting for Young People based in Fairfax, Virginia. Her play Carol vs. Christmas, co-written with her husband Todd, is published by Eldridge Plays and Musicals. She and her husband are also screenwriters for Larry Levinson Productions whose clients include the Hallmark Channel. 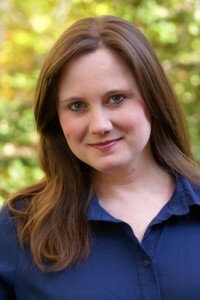 Lisa currently teaches in the theatre departments of Northern Virginia Community College and George Mason University.